Although modern wood stoves are EPA-certified to reduce the amount of particulate matter that they release, there are still many old, non-EPA certified stoves in operation. Unfortunately, even EPA-certified stoves emit pollution. A better alternative for heating homes is a gas furnace, electric fireplace, or an electric split ductless heat pump, which can cool as well as heat. The City of Grand Junction passed a Wood Stove Ordinance that requires homeowners to remove non-certified EPA wood stoves from a residence prior to selling. Ordinance No. 2981-1997 The ordinance only applies to residences within Grand Junction city limits. Few realtors seem to be aware of this regulation. If you are buying a house within Grand Junction make sure that any wood stove displays the EPA certified sticker. If it is not certified, you should request that it be removed or replaced prior to sale. According to a report issued by Utah Physicians for a Healthy Environment, 2015 Report on Health Consequences of Wood Smoke, woodsmoke is a significant contributor to overall community air pollution worldwide. 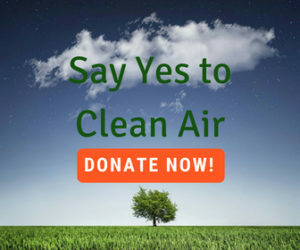 “The largest single source of outdoor fine particles (PM 2.5) entering into our homes in many American cities is our neighbor’s fireplace or wood stove…Only a few hours of wood burning in a single home at night can raise fine-particle concentrations in dozens of surrounding homes throughout the neighborhood and cause concentrations of PAHs (polycyclic aromatic hydrocarbon)–one of the most toxic compounds of air pollution–higher than 2,000 ng/m3.” (Dr. Wayne Ott, Stanford University, Feb. 1, 1998). Background concentrations of PAHs should be close to zero. If we use a wood stove ourselves, indoor air pollution can be at dangerous levels. Wood smoke particles are very small (ultrafine), ranging from 0.2 microns at the start of the burn period to .05 microns as the burn cycle progresses. People who burn wood subject their children and themselves to increased pollution levels. 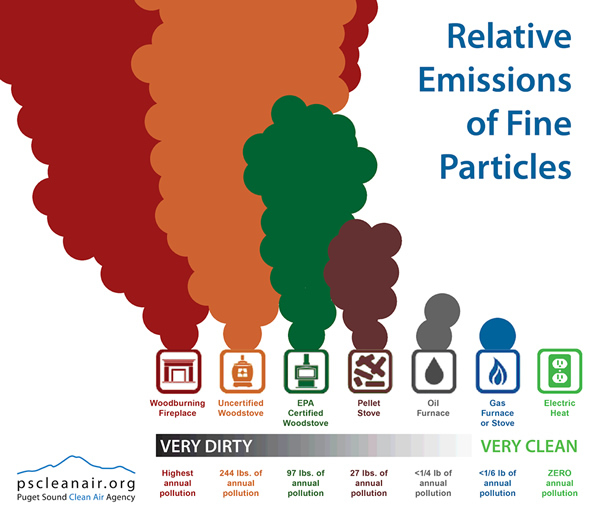 Those ultrafine particles are the most dangerous to inhale, since they can not only lodge in the lungs, but travel through the bloodstream, causing cardiovascular problems including heart attack, stroke, congestive heart failure, and premature births for pregnant women.